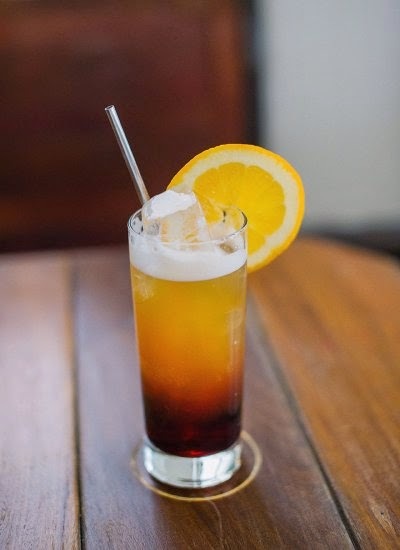 Despite the fact that I've occasionally received an espresso after ordering an Americano, this low-alcohol cocktail is one of my favorites year-round. It's especially good for nursing at parties, and it looks crazy festive, making it perfect for the holiday fête we're throwing tonight in Texas! Fill a Collins glass with ice; pour Campari and sweet vermouth over ice. Top with Pilsner, and garnish with an orange slice. Light in alcohol, this cheeky spin on the Italian classic substitutes beer for soda water, making it truly "American". We bought a 1 liter bottle of Carpano Antica a few years ago, and it's easily one of our best boozy investments–I highly recommend it. Cheers! Christie, I should have known you were a fellow Campari drinker–another reason to adore you!